A group of non-Jews defends Israel on campus during boycott Israel month. March is boycott Israel month. The actual dates are Feb 27th to April 10th and events all around the world, particularly in Europe and the United States, will be taking place during this time in an effort to boycott Israel. The ring-leader of this project is the BDS organization. Their goal is to boycott Israel in three main campaigns. 1) Economic Boycott in which they encourage people not to buy Israeli products or use them. Since computers and cell phones are both Israeli inventions, this would practically send us back to the Stone Age. 2) Cultural Boycott is an encouragement to cancel all events or cultural activities related to or in support of Israel, which means that some music artists won’t play in Israel and some cultural centers won’t host Israeli artists. 3) The Academic Boycott is a call to boycott universities in Israel who are supposedly “creating weapon systems” to take out the Palestinian people. Ironically enough, all Israeli Universities, private colleges, and academic institutions encourage, support, and accept all Palestinian students. With these three main areas of boycott, the BDS movement has its largest voice on college campuses. It is no secret that BDS supporters and anti-BDS protestors have clashed on campuses throughout the majority of western countries. We see videos taking over social media with students screaming, debating, fighting, and even getting violent toward one another. It’s obvious from the passion and frequent aggression of these conflicts that each side takes the issue extremely personally. Most anti-BDS students have come from Jewish or Israeli backgrounds and feel that defending Israel, on campus or in their home state, is also defending their people and homeland. On the flip side, BDS supporters feel that they are saving humanity by calling Israel out for alleged social injustices and war crimes perpetrated against the helpless Palestinian. No wonder we see such violence. Seeing non-Jewish and non-Israeli students defending Israel against the BDS movement has been incredibly encouraging. The Israeli newspaper Ynet News recently reported a story about a group of students, all non-Jewish and with no ties to Israel, who have started a small movement that is solely pro-Israel and anti-BDS. 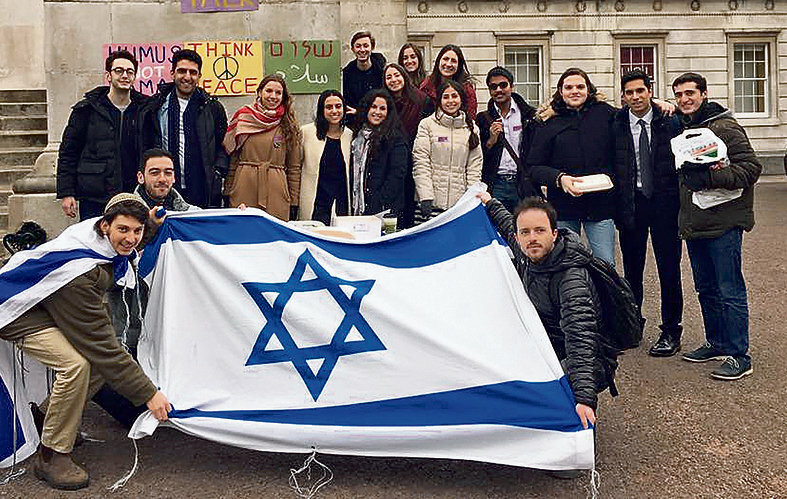 Based out of Britain, the student group has seen an awakening of non-Jewish students fighting back on Israel’s behalf. 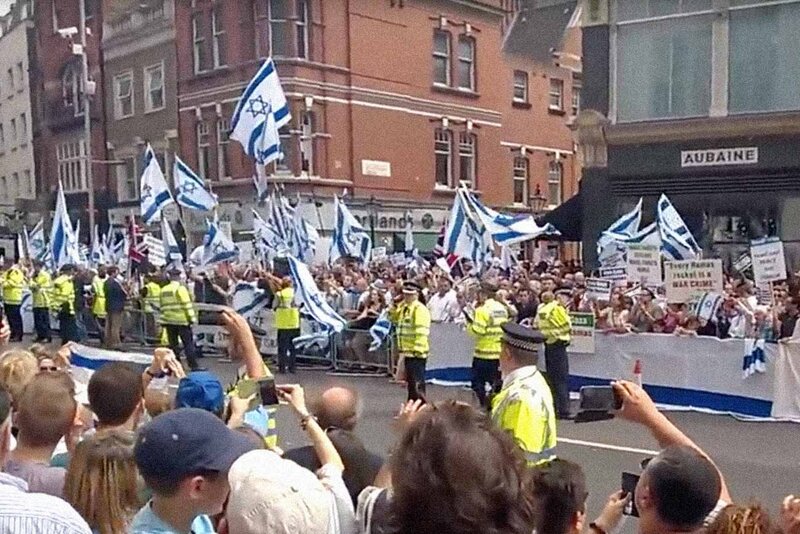 The students involved have started many pro-Israel events on campuses and, to everyone’s surprise, they have had major turn-out at these events. You can read more about their individual stories here. As followers of a Jewish Messiah, how much more so should we, Jew or non-Jew, defend and protect the people and homeland of our Messiah? Israel needs support from all backgrounds, ages, and beliefs. We need more clear-thinking students to see through the propaganda, support Israel, and become a voice against those who want only to destroy us. Look for ways to get involved in supporting Israel. Buying Israeli products, going to Israeli cultural events, and protesting the anti-Israel voices on your campus are just a few ways to show your support. We, as bearers of Messiah’s name, have an obligation to support the land of our inheritance.